8 total events since August 2, 2015 for an average overlay of $107,468.75 per event. There currently are no other Million Dollar Sunday events scheduled and ACR has not announced anything. It seems likely that they will not continue seeing as there was an average of $107,000 overlay per event. ACR has shifted their marketing efforts to the Online Super Series 5 which is their yearly tournament series. This year it runs from November 27 – December 6. However, the main event of the OSS V does have $1,000,000 guaranteed with a $540 buy-in. So even though it’s not a MDS event, in less than one month, there will be another million dollar tournament. Update November 2: The overlay just keeps getting larger. This past weekend there were a total of 1,532 entries for an overlay of $117,000! Yikes. There is one more MDS event next Sunday. Unless the numbers somehow drastically turn around, I expect it to be the last one. Update October 26: Another $500k MDS finished yesterday and this event still has yet to crack the guaranteed amount. In all, there were 1,788 entries for a total prize pool of $447,000 and overlay of $53,000. There are still two more MDS events scheduled. It’s not sure if these will continue beyond November 8th. Cya next Sunday! Oh, and I added a running overlay total to the top of the post. I also updated the post title to reflect the constant updates of this post. It used to be “$1,000,000 Guaranteed Tournament on WPN Concludes with a $30,500 Overlay”. Update October 19: Americas Cardroom made the decision this week to lower the buy-in from $540 to $270, and also lower the guarantee from $1,000,000 to $500,000. They obviously did this out of lack of participation and to not be bleeding hundreds of thousands of dollars each week. But this isn’t bad news as $500k guaranteed is still HUGE for USA poker. If this becomes a regular event, which it sounds like it may, it would be would be very nice for tournament grinders. The name of these events has also been changed to MDS Main $500,000 GTD. The MDS Main concluded yesterday with total 1,931 entries making the prize pool $482,750. This created an overlay of $17,250, which is much lower than the previous Million Dollar events. Update October 12: Another week, another 6 figure overlay. Although, participation did go up this week with 1,726 entries creating a total prize pool of $863,000. The total overlay dropped down to $137,000. There are still two more Million Dollar Sunday events scheduled for October. Update October 5: Another Million Dollar Sunday has come and gone, and another six figure overlay. This past weekend a total of 1,605 entrants (including re-entries) created a prize pool of $802,500, for a total overlay of $197,500. I wonder if WPN regrets this promo yet? P0ppin0ff made back to back final tables… pretttty pretttttty good. Update September 14: The latest Million Dollar Sunday was held yesterday, September 13, which saw much worse results. The total prize pool ended up being $774,500 for a staggering $225,500 overlay. It’s hard to say exactly why the most recent tournament had a much lower turnout, but likely the biggest factor was the NFL season starting on the same day (seriously, who planned that?! ), in addition to lack of novelty. But who knows really. The latest Winning Millions event concluded on the Winning Poker Network (WPN) last night. Overall, it exceeded my expectations with 1,939 players and only awarding $30,500 in overlay. It is nice to see tournament poker isn’t totally dead in the USA, although kind of devastating knowing PokerStars does this each and every week with ease. Due to the success of the event, WPN is now going to offer 5 more installment of the Winning Millions. This means a total of $5 million will be guaranteed. They plan on giving themselves some marketing time, but hope they have picked up enough steam by October to offer the event weekly. It’s quite the feat, but since this August 2nd event was such a hit, I no longer doubt they can now break the million dollar mark fairly easily. It may depend if the hype continues on. This final table had a top heavy payout structure, with 20% of the prize pool going to 1st place and 48.69% going to 1st-5th. These numbers were 3.26% higher than the PokerStars Sunday Million from the same day. The higher payouts were probably a marketing tactic. It’s not enough to say $1 million guaranteed anymore, you also need to be able to say $200k guaranteed for the winner. All final table winners are also offered a free bank wire, so they can instantly cash out as much as they like. What Does This Mean for US Poker? Although it’s nothing like it used to be, it still is exciting seeing nearly 2,000 people turnout for a $540 event. That’s no cheap entry, although I assume over half of the participants satellited in, and since none were not allowed to unregister, it’s not exactly shocking. That all being said, WPN is clearly the place for online poker right now in the United States. No other network can even come close to these numbers. 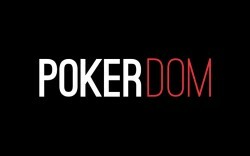 The Winning Poker Network accepts US players, although is unregulated by US state and federal law. 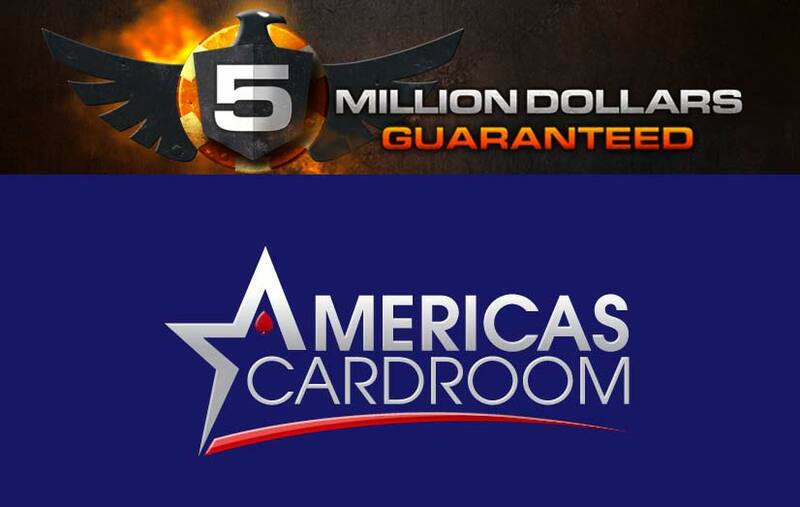 Their flagship brand is Americas Cardroom, you can read our full review here and see where their bonus ranks.